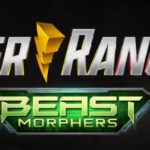 Tokunation › Conventions › Power Morphicon › First Power Rangers Beast Morphers Trailer Released! First Power Rangers Beast Morphers Trailer Released! Rounding out an exciting day of Power Morphicon reveals, we now have the first full trailer for the next Power Rangers series! Power Rangers Beast Morphers is set in the near-future, where scientists have learned to channel the powers of the legendary Morphing Grid to create technology far beyond anything seen before. But when the EVOX computer virus gains sentience & wants the Grid for himself, a team of warriors must unite to stop him- by combining Morphing Grid energy with animal DNA to become the newest team of Power Rangers! Power Rangers Beast Morphers will be airing on Nickelodeon in 2019! Stay tuned to TokuNation as we keep you up to date on this remarkable new adventure in Ranger history! Not going to lie, not digging the snake virus. The skull from Gobusters was much cooler. From the trailer, this feels like it might be a one season approach again. Hope so. That'd make later things easier and would speed up the transition to Hasbro influenced material. Instead of having to wait 4 years, we could see Hasbro stuuf take hold in 2 or 3. Depending on what footage is used after this. Liking the setup and premise too. Hope it takes off. I like what we’ve seen, wanna see more about the characters though. Nickelodeon: But skulls are too scary for American kids. But snakes are cool. Getting a kind of Bloodstalk vibe from it personally. I think they went with snake to keep the animal motif overall. So it might play more into the story on why. Skulls aren't typically something Nickelodeon worries about. So I don't think that change had to do with concerns of kid reactions. 1:04 time stamp has gold and silver. Also the Dark Buster suits looks more like an evil Cobra Ranger then a Cheetah.